Captivating sunsets from this large Southern corner end-unit townhome in the exclusive gated community of Pasadena Yacht & Country Club. 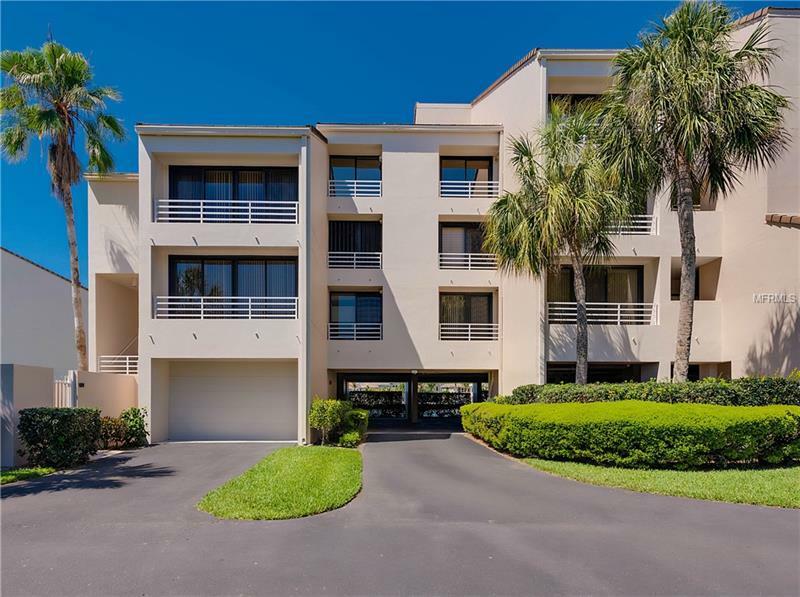 From the moment you enter you are invited to step out onto one of your two extra large balconies to enjoy the gorgeous Westerly views of the wide open canal that leads from the marina out to Boca Ciega Bay. All three bedrooms has it's own bathroom while the large master bedroom features vaulted ceilings, a walk in closet and two large bonus closets. Townhouse 101 comes with plenty of amenities including a single car garage, plus 1 covered space, a private courtyard entrance, electronic key lock, travertine throughout 1st floor, and the 2nd floor laundry room has a huge closet/storage room. The grounds are always very well manicured and blend in with the Golf Course community. PYCC amenities- 18 Hole Championship Golf Course, Fitness facility, Tennis courts, Jr. Olympic swimming pool with Restaurant & Bar, Marina, beautiful Clubhouse with restaurant and bar. (membership fees apply) all measurements approximate, Buyer must verify. Pet Restrictions: no aggressive breeds allowed, maximum weight 25 lbs.